The Sunwolves' Super Rugby exit was confirmed Friday, due apparently to a failure to agree on financial terms with the tournament organizers who made clear they view the immediate future of the competition as "a 14-team, round robin, competition format." At the heart of the problem was a fee the Japan Rugby Football Union was unwilling to pay to remain in the competition. "An agreement for a new contract after 2021 could not be reached due to the newly proposed financial conditions, which was difficult to agree on," the JRFU said in a press release. A source has confirmed that tournament organizers SANZAAR demanded the Japanese team pay 1 billion yen (around $9 million) per year in participation and other fees, something no other franchises have been asked to pay. "According to the proposed financial conditions, the Japan Super Rugby Association and the JRFU shall provide a substantial amount of additional funding, which has posed a concern about not only huge impacts that would be suffered by the future operation of both JSRA and JRFU, but also obstacles caused to the whole activity of Japanese rugby," the sport's governing body in Japan said. The revised format will come into operation and kick off in 2021, meaning the Japanese side will play out this season and the next, when a clash with the Top League means there is no certainty who will even pull on a Sunwolves jersey. "On behalf of the whole Sunwolves family we are obviously very disappointed by this decision," said Sunwolves CEO Yuji Watase. "The Sunwolves have been involved in Super Rugby since 2016 and remain a very important piece in the high-performance landscape for rugby in Japan." The Sunwolves are currently in the fourth season of their original five-year deal but the Japan Rugby Football Union were unable to come to terms on a revised contract for 2021 and beyond. "SANZAAR was advised by the Japan Rugby Football Union in early March that they would no longer be in a position to financially underwrite the Sunwolves' future participation post 2020. 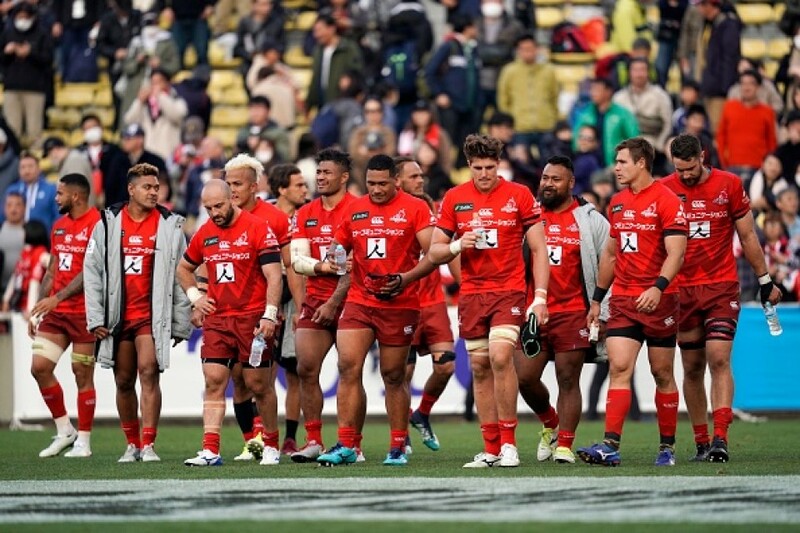 The future of the Sunwolves will now be determined by the JRFU which has determined that Super Rugby no longer remains the best pathway for the development of players for the national team," said SANZAAR CEO Andy Marinos. "However, Japan and the Asia Pacific region remain strategically important to SANZAAR. We will continue to work with the JRFU, Japan Super Rugby Association and other stakeholders, as we have done throughout this review process, to establish a truly professional league structure in Japan in which current and potentially new teams could participate," Marinos said. One proposed option is a second-tier Super Rugby Asia-Pacific competition including Japan, the Pacific Islands, North and South America and Hong Kong, the Super Rugby organizer said. "The concept includes linking high performance programs of such nations into the potential competition structure. The aim is to deliver a competitive and sustainable international pathway that can align to both current and future considerations around the international calendar," it said. "We would like to thank the JRFU for their continued support and look forward to working with them going forward and we will continue to be supportive of the Sunwolves through the 2019 and 2020 Super Rugby seasons," added Marinos. As for the future of The Rugby Championship, which could include Japan and Fiji if World Rugby's proposed 12-team Nations Championship gets the green light, SANZAAR simply said, "The future format and structure of The Rugby Championship will be announced at a later date." Sunwolves boss Watase said, no matter what happens, he wants the team's support base to persevere. "We wish to thank all our loyal supporters and fans who are the best supporters in Super Rugby for all their continued support," he said. "We further ask they stick with us till the end of 2020 to ensure Japan rugby is at the forefront of the international game both on and off the field."